For the past week I have been following the guidelines in the book called "Clean" by Alejandro Junger, M.D. in terms of drinking two or three healthy smoothies or juice drinks throughout the day and having a large healthy salad or meal for lunch. I really felt that I needed to do something healthy for my body after all the eating and drinking over the past two months, and I feel so much better for doing it. The book has some really good recipes for juice and smoothie drinks, but they require that you own a high-speed blender such as a Vita-Mix or a good juicer. 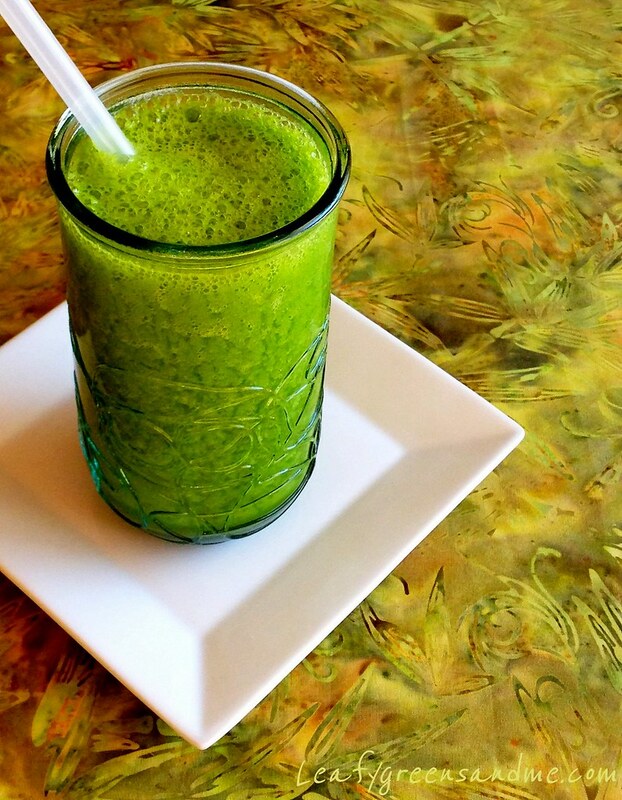 The smoothie recipe below is one I created for myself and I drink it every morning. It's quite filling and holds me over until lunch time because it contains all the fiber from the fruit and veggies. I'm also drinking about two liters of water every day and that helps fill you up and flush out all of the toxins as well. Since I have been following his program, I haven't been in the kitchen much and I have been referencing some of my previous recipes and enjoying them all over again. When you have a blog that you update on a regular basis, you are always making new recipes and so I hardly ever go back and repeat meals. Some of my healthy favorites that I've been eating (in between all my juicing) are: My Favorite Everyday Salad, Not Your Store Bought Ramen, Vietnamese Pho Noodle Soup, Persian Noodle Soup (without the sour cream and fried shallots) and my Avocado and Cucumber Soup. Also, if you have a juicer you can make My Morning Cocktail as well. Place all ingredients in a blender and blend on high for 2 minutes until smooth and creamy. This looks delicious! I have to try this some time.